After the huge success of Incense & Cedrat, Master Perfumer, Marie Salamagne, has concocted Mimosa & Cardamom, which is set to be a sure-fire hit. Looking at what the bohemian spirit meant in the past as well as today, from “new bohemian” fashion with its colourful, eclectic prints and drapery to a love of travel off the beaten track, this fragrance took her on a journey of discovery, leading her back to the time of Orientalism, where artists such as Frederick Leighton travelled the globe, bringing back curious, beautiful treasures. For those of us in the Middle East, it presents a warm and familiar range of smells blended in an unfamiliar yet deliciously addictive way. 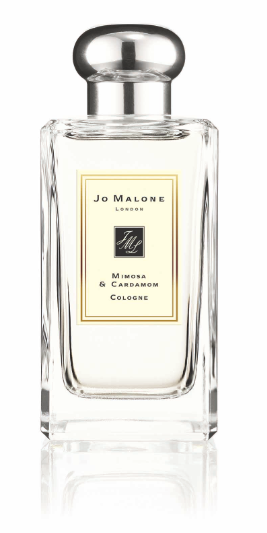 Whilst it’s clearly drawn inspiration from the exotic souqs and bazaars of the Middle East, this enchanting scent has been splashed with modernity, as is the Jo Malone way. As with all floriental scents, this one is bold and captivating but at the same time the cardamom lends an unexpected effervescence and soapiness that keeps it light hearted and ageless. The first spritz is fresh and sparkling but given a few moments, the fragrance warms on the skin revealing the sweet honey tones and powdery mimosa, making it as musky and comforting as it is long-lasting.